The view looking down Maple Street toward State Street, between 1905 and 1915. Image courtesy of the Library of Congress, Detroit Publishing Company Collection. If the street network seems a little different here, it’s because it is. 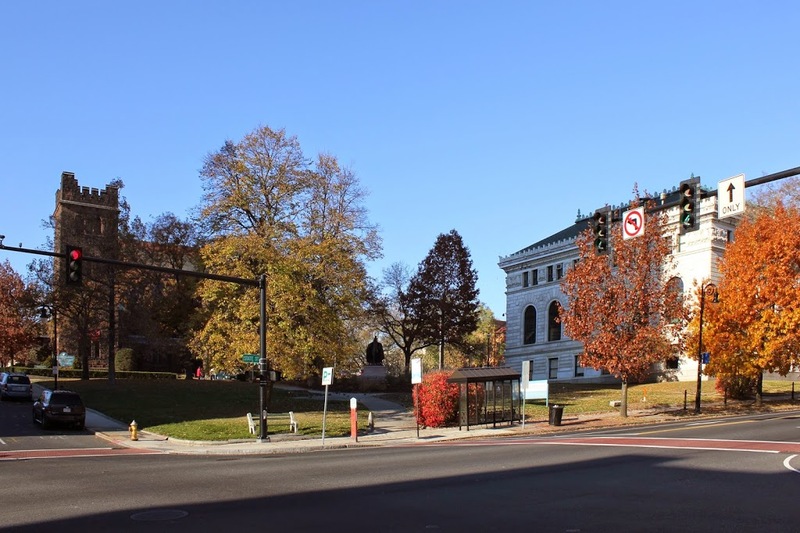 When the first photo was taken, Maple Street and Chestnut Street (which are essentially the same road – they just switch names after crossing State Street) were together a major two-way, north-south road running along the top of the hill overlooking downtown. 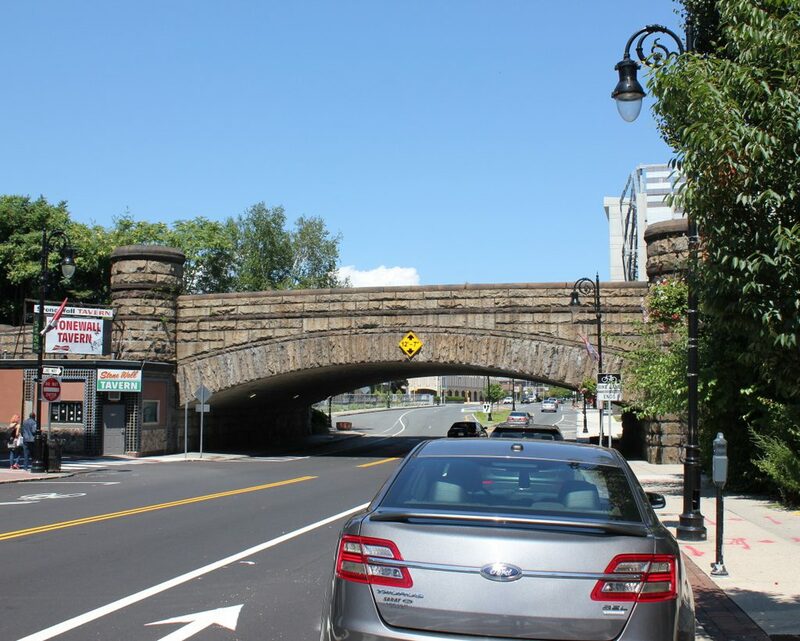 Dwight Street was, likewise, a major north-south road that ran from the North End until terminating at State Street. However, in 1972, Dwight Street was extended diagonally up the hill to meet Maple Street, and turned into a one-way street carrying southbound traffic. Maple/Chestnut, north of this intersection, then became a parallel, northbound one-way street. South of here (the opposite direction of this photo), Maple Street is still a two-way road. 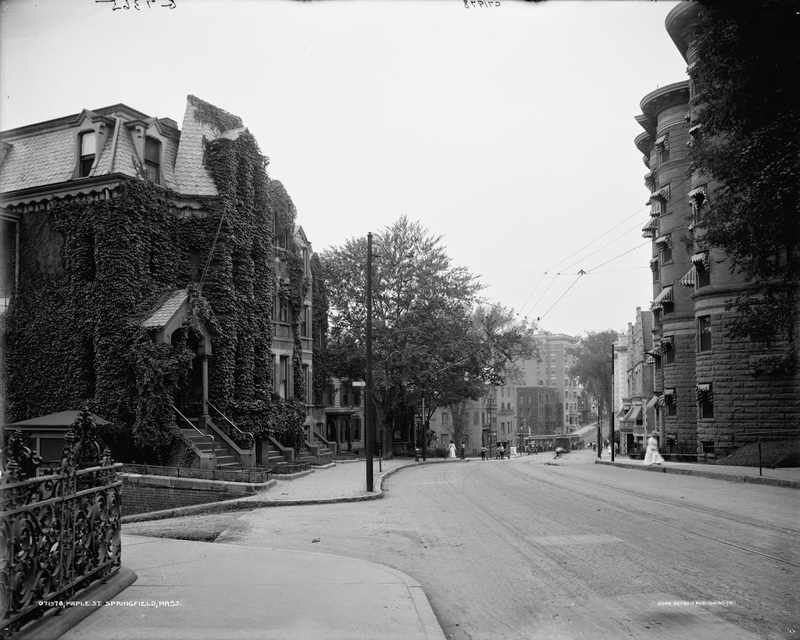 In any case, this is part of the reason why the left-hand side of this photo looks so dramatically different from the 1905-15 photo; the houses and apartment buildings were later demolished to make room for the extended Dwight Street. 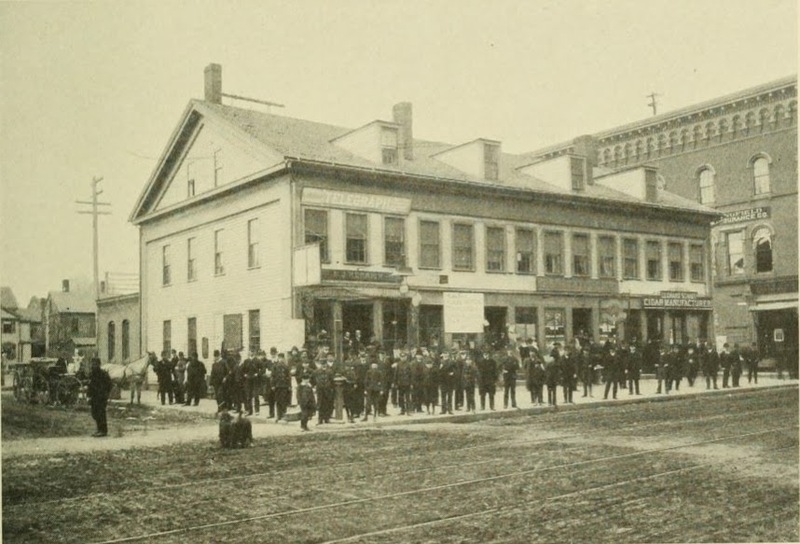 The right-hand side of the street, however, remains essentially the same; the apartment building in the foreground is the most obvious, but there is also another building behind it, and the Springfield Fire and Marine Insurance Building barely visible at the corner of State and Maple. 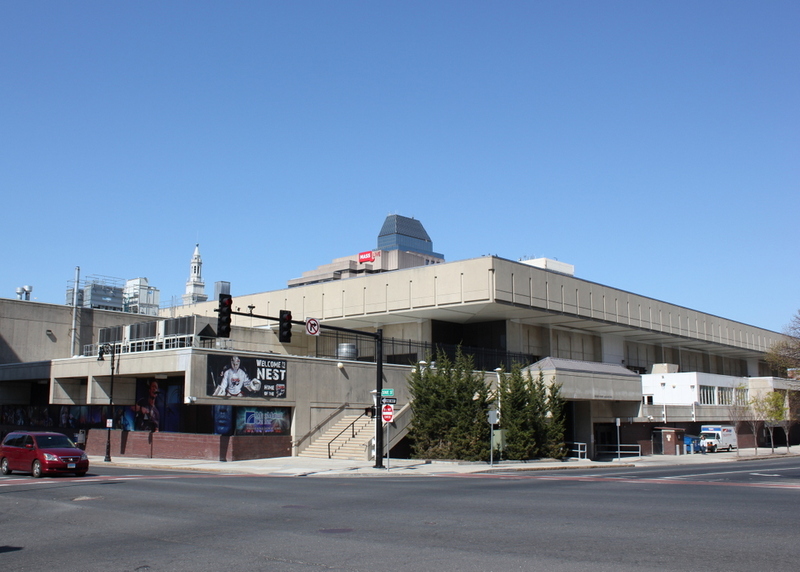 The other major change between the two photos is the massive 34-story Chestnut Park apartment building, which was built between Dwight and Chestnut Streets on State Street. It is the third-tallest building in Springfield and the tallest residential building. The view of St. Michael’s Cathedral, around 1908. Image courtesy of the Library of Congress, Detroit Publishing Company Collection. The tree is somewhat blocking it, but St. Michael’s Cathedral is still there today, looking as good as it did when it was built in the 1860’s. 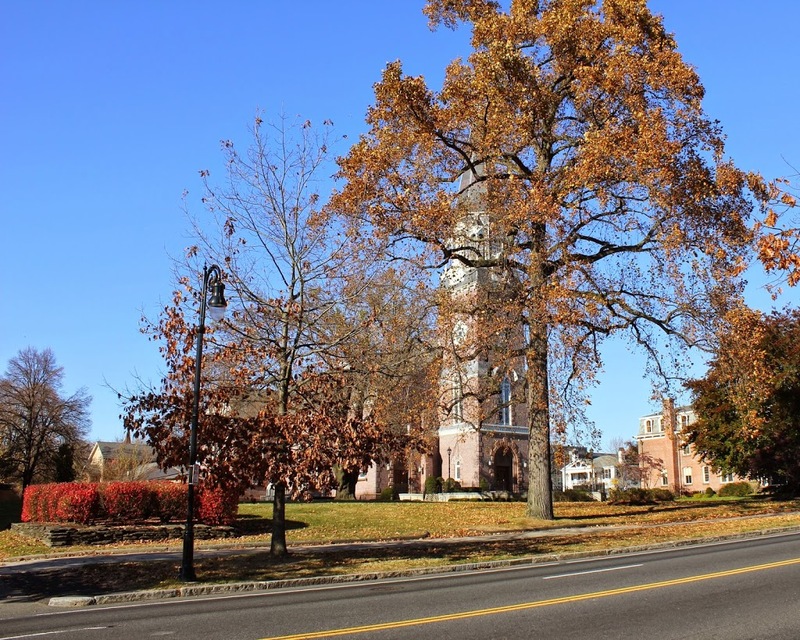 It was the first Roman Catholic church in Springfield, and it is currently the cathedral for the Roman Catholic Diocese of Springfield in Massachusetts, which covers all four counties in Western Massachusetts. 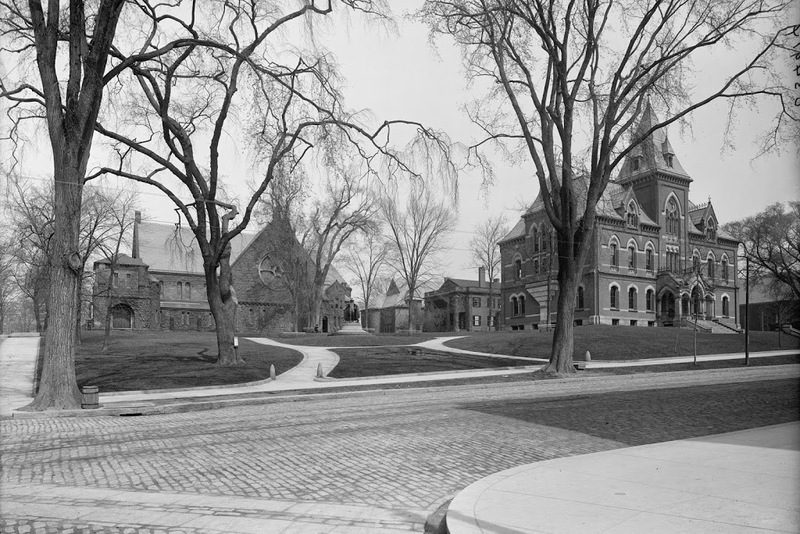 The 1908 photo shows the church and the rectory, both of which still exist, but it also shows St. Luke’s Sanitarium, to the left of the church, which no longer exists. Note, however, the break in the curb along the sidewalk that once led to the building. On an arborist note, the short but wide tree on the far right of the 2013 photo appears to be the same one in the 1908 photo. 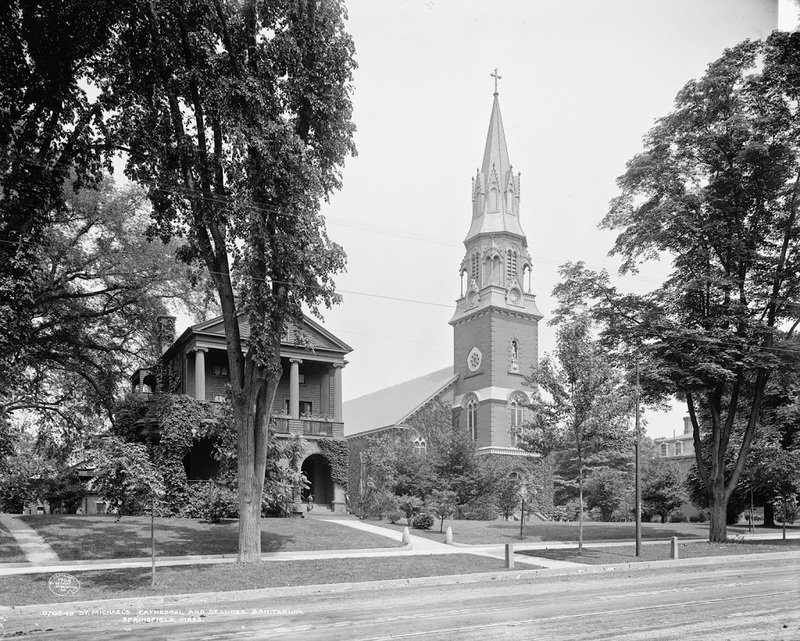 In addition, this may be pure conjecture, but the tree that now all but obscures the church from this angle appears to be visible in the 1908 photo. There is a young sapling that is barely noticeable in the photo, and it appears to be in the same location as the present-day tree. The current tree looks like it could be around 100 years old – could it be the same tree? The northwest corner of Main and Worthington in Springfield, sometime before 1890. Photo from Springfield Present and Prospective (1905). 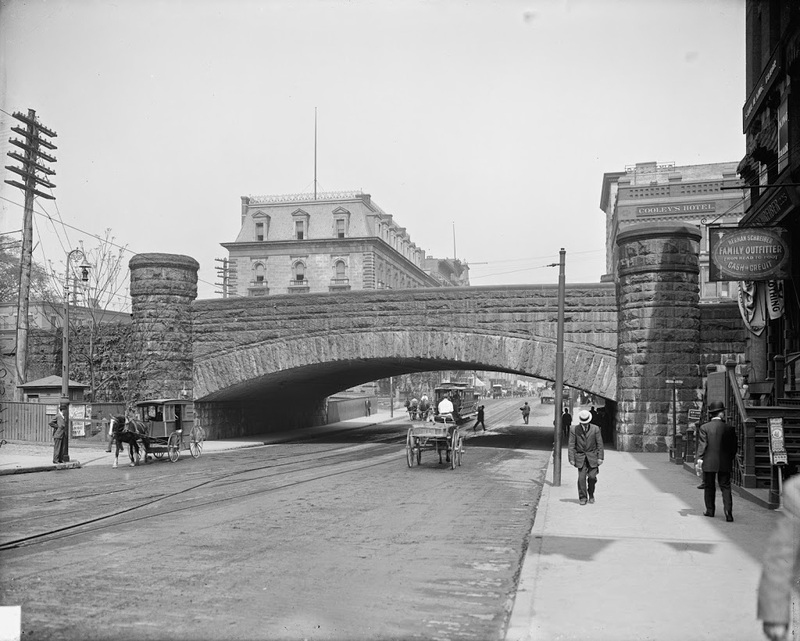 The same location, around 1905, after construction of the Post Office and Customs House. Image courtesy of the Library of Congress, Detroit Publishing Company Collection. The first photo shows the Wilcox Block, an old commercial building that likely dated back to the early 19th century. 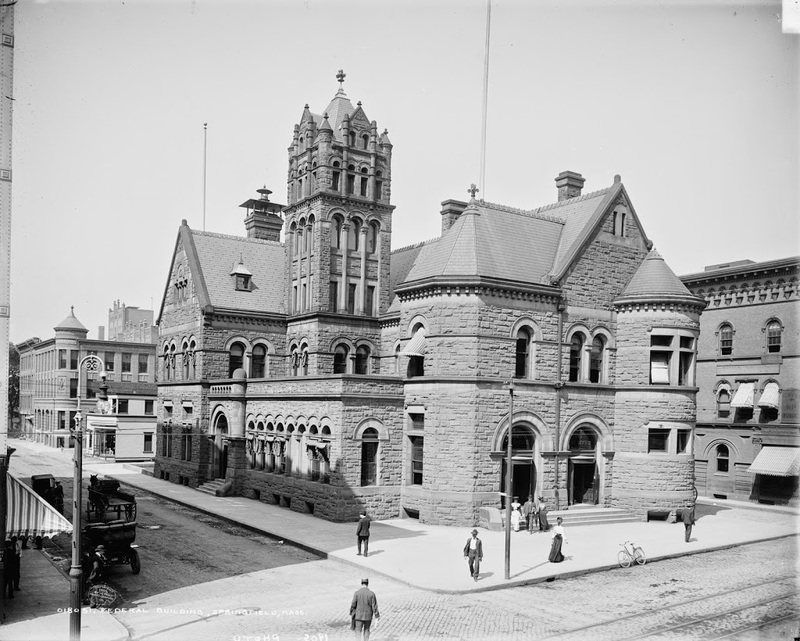 Located on the west side of Main Street between Worthington and Fort Streets, it was demolished in 1889 and replaced with the city’s first purpose-built post office. 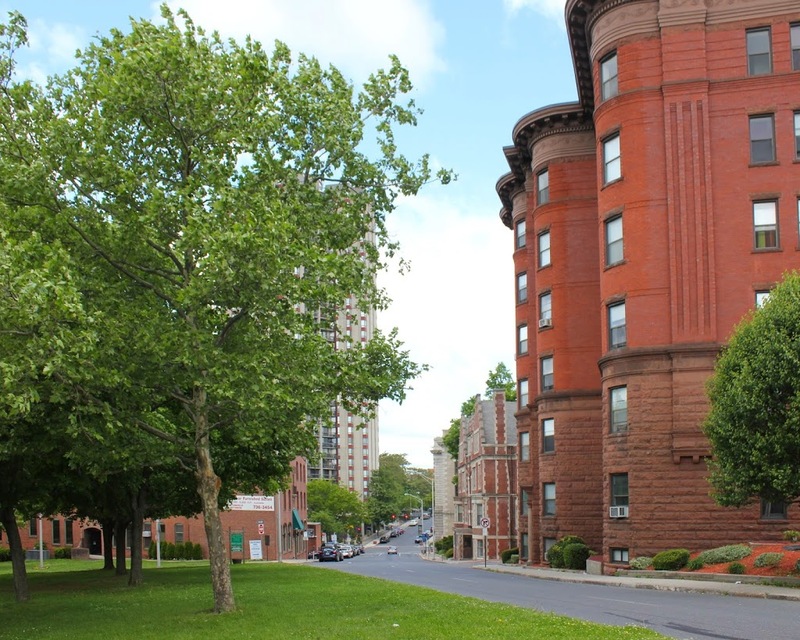 As seen in the second photo this building was an imposing, castle-like Romanesque structure, built of brownstone quarried from nearby Longmeadow. 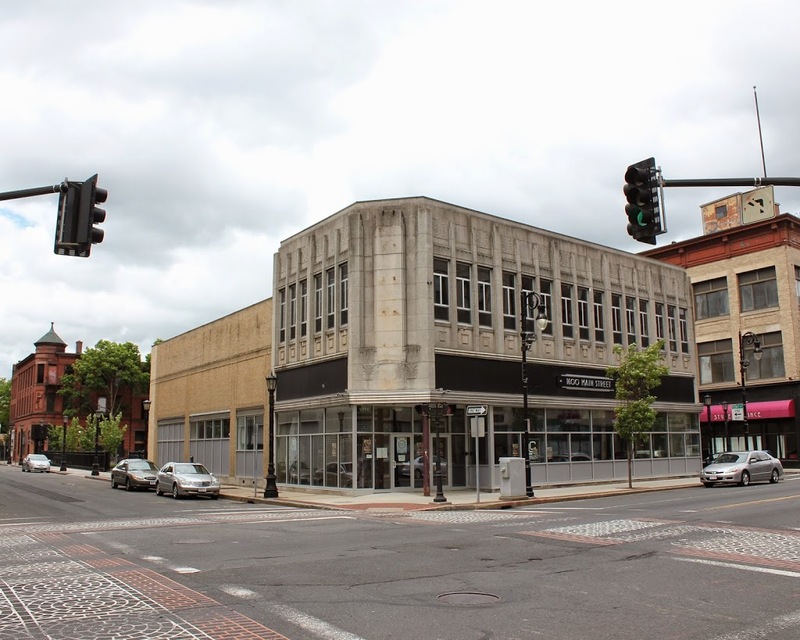 It housed a post office on the first floor, with customs and other federal offices on the second floor, but within a few decades the building was too small for the growing population of Springfield. In 1932, a new, much larger post office and federal building opened on Dwight Street, and the old building here was demolished the following year. In 1939, it was replaced with the present-day Art Deco building, which was originally home to the Enterprise department store. Today, there are still several buildings standing from the earlier photos, though. The Homestead Building, completed in 1903, was once used as the offices for the Springfield Homestead newspaper, and it is visible on the left side of the 1905 and 2014 photos. On the far right side, the only building that appears in all three photos is the Fort Block. 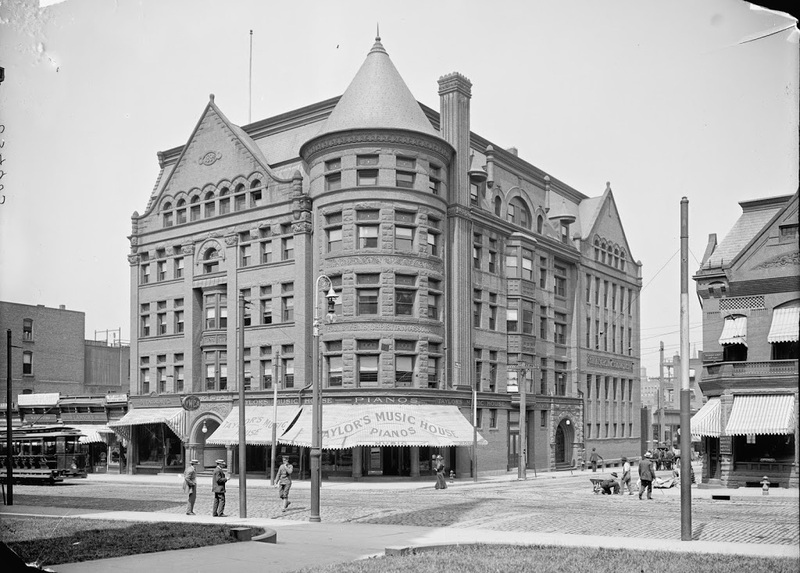 Built in 1858, it was heavily altered in the early 1920s, but it is still standing, and is best known today as the longtime home of the Student Prince restaurant.